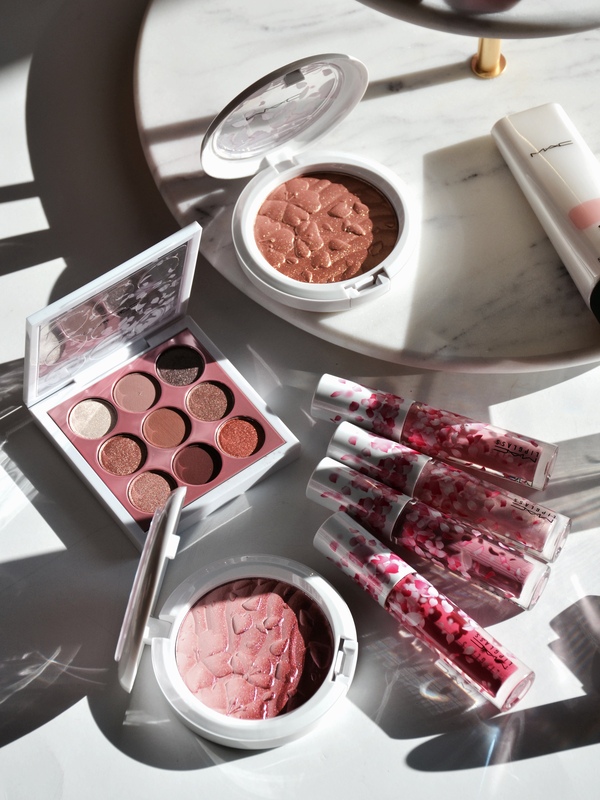 Mac Boom, Boom, Bloom Collection is the brand’s Spring 2019 collection. 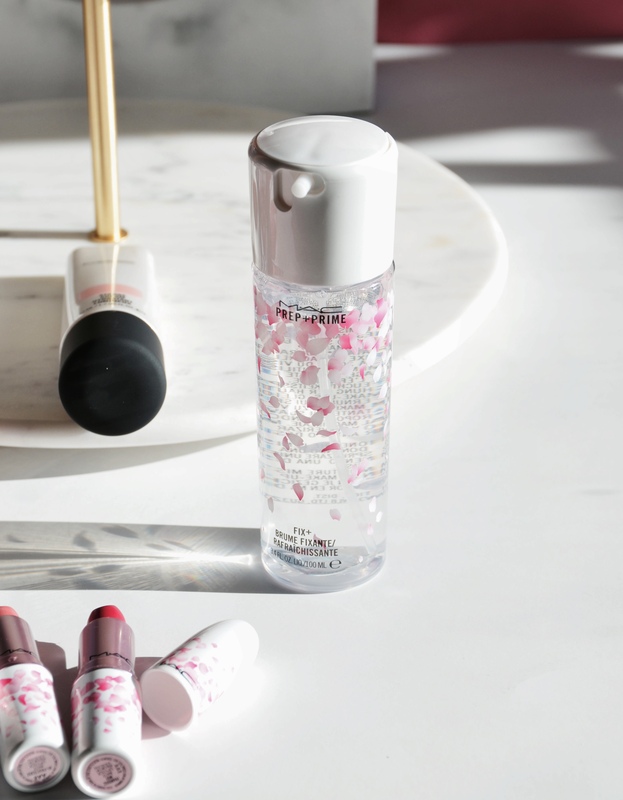 The collection features beautiful petal themed packaging and a pink theme. The sakura printed packaging is right on with the spring theme and it is one of the most beautiful packaging I’ve seen from the brand. 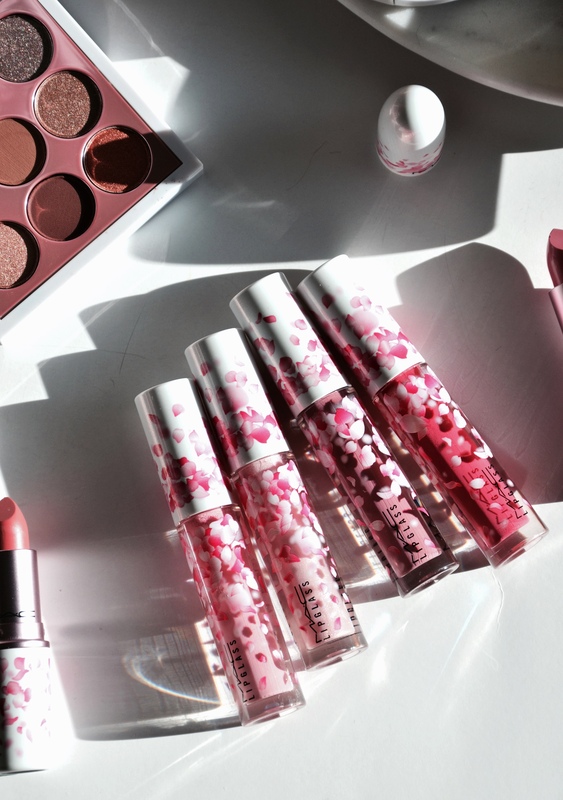 The Boom, Boom, Bloom Collection includes a cherry blossom scented Fix +, High-Light Powders, Lipsticks, Lipglass and a stunning eyeshadow palette. The Eyeshadow x 9 in Kabuki Doll is a mini eyeshadow palette that has 9 shades and a good mix of matte and shimmers. It is my favorite piece from the collection as the shade selection is right up my alley. I love the mix of rose golds, copper and brown shades (I wear neutrals on day to day basis). The pigmentation of every eyeshadow in Kabuki Doll is amazing. They are easy to work with and blend nicely on the eyes. I really like these Mac mini palettes because they are the perfect size for travel. And they are great for storing since they don’t take much space. There are five lipsticks in the Boom, Boom, Bloom Collection and they are all in the pink family. Now, if you are a long time reader, you would know that I don’t wear pinks that often. Except of the occasional warm toned pink or magenta shades, pinks just don’t look good on my skin tone. There is one shade in the line called Framboise Moi, that I love how it looks on me. 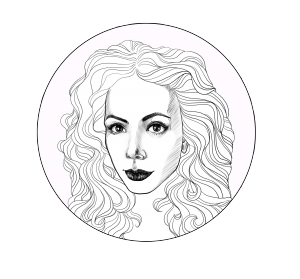 The rest, are tricky for me to pull off, but as always, I love Mac’s formula. So it all depends of your shade preference. There are four Lipglass shades in the Boom, Boom, Bloom Collection. They are also shades that are in the pink family but since the formula is glossy and sheer to light, they are more wearable for me. If you like Fix + as I do, you have to check out the Fix + from the Boom, Boom, Bloom Collection. Not only is the packaging beautiful, the subtle cherry blossom scent is so, so nice. I like that Mac made the scent subtle since I don’t like heavily scented mists. As for the High-Light Powders, there are two in the collection. 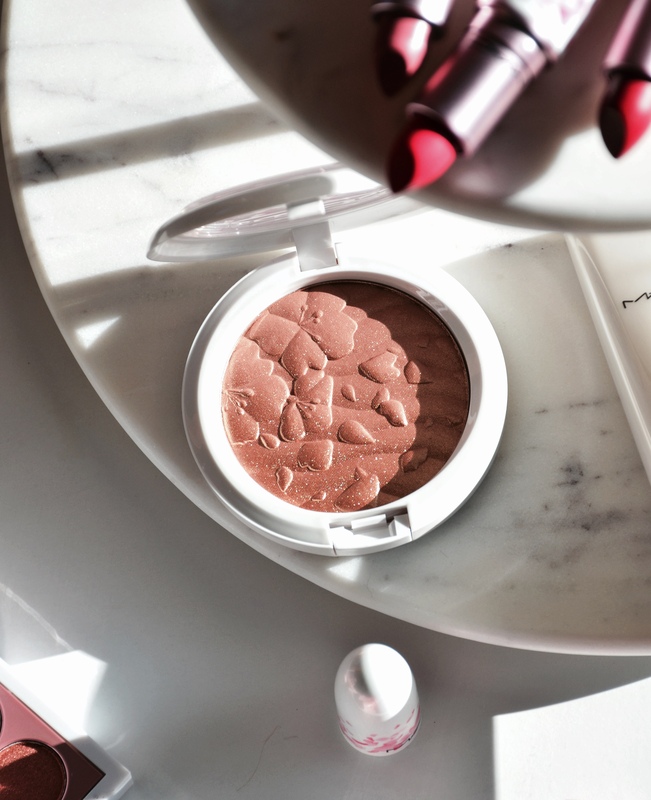 If you are not familiar with Mac’s High-Light Powders, they always come with a shimmery overspray which for people that didn’t know, it was probably a disappointment. The High-Light Powder in Fleur Real is a light pastel pink shade that makes for a good blush only if you are fair to light. On my light to medium skin tone, it still shows up but it is very subtle. The powder comes with a beautiful shimmery ombre overspray which I wish was part of the blush (that would make for a beautiful shimmery berry blush). 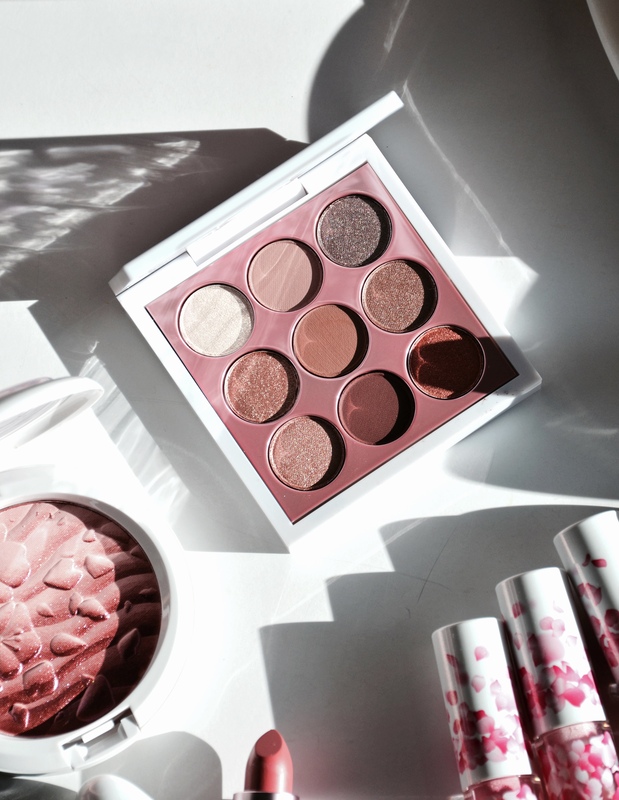 The other High-Light Powder in Spring Bling is a brown shade with red undertones. It makes for a great warm toned bronzer for my skin tone. It also has a shimmery overspray in a beautiful gold shade. The formula of the powder is soft and blends nicely on the skin without looking over the top. 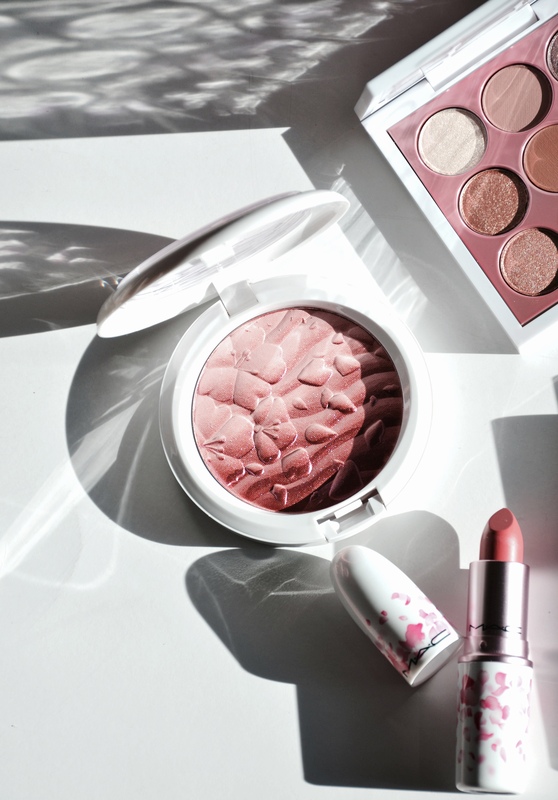 Bottom line, the Mac Boom, Boom, Bloom Collection is another great one from the brand. 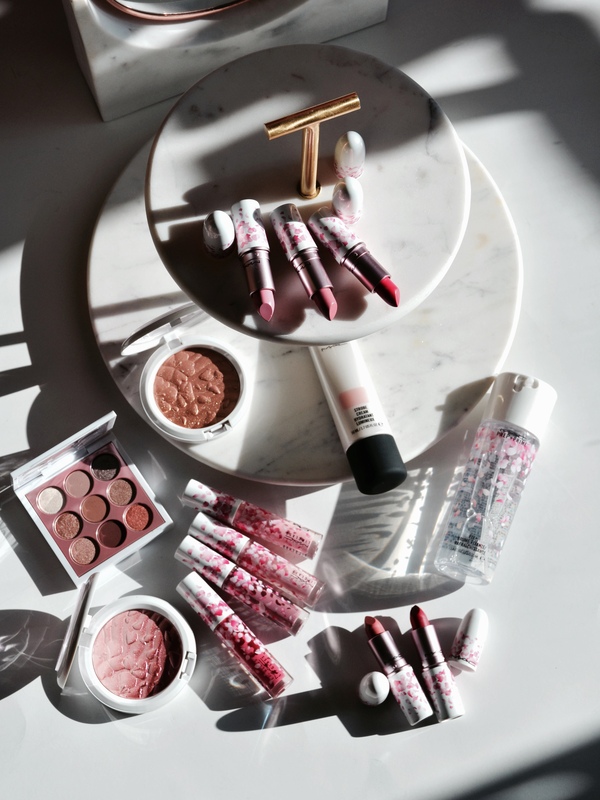 As for favorite pieces from the collection, I would pick the Kabuki Doll Eyeshadow Palette, the scented Fix+, lipstick in Framboise Moi and Lipglass in Heartmelt and Cherry Mochi. 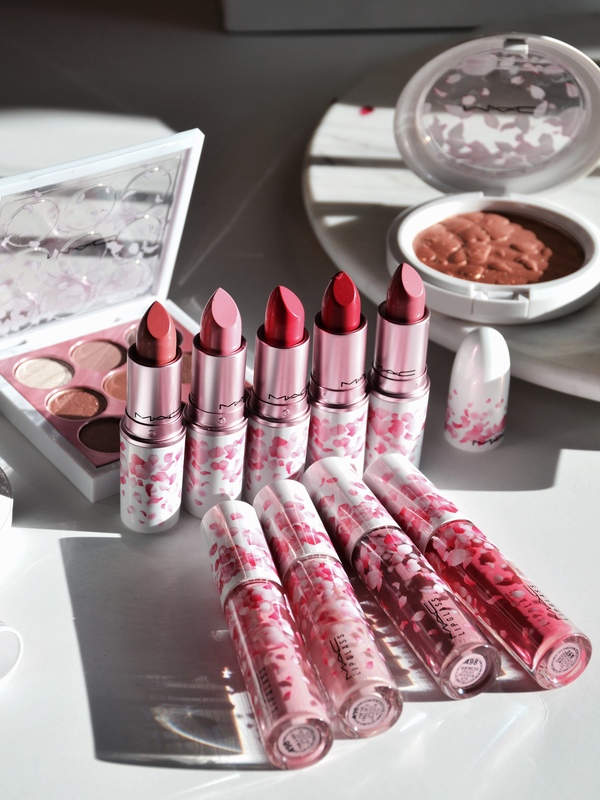 Did you pick up anything from the Mac Boom, Boom, Bloom Collection?